New research has revealed the celebrities Brits would least like to party with and it is bad news for the political classes. Topping the poll is US President Donald Trump, closely followed by Jeremy Corbyn and our very own Prime Minister Theresa May. Nigel Farage and Piers Morgan complete the top five dreaded party guests. New research commissioned by Jet2holidays of 2,000 UK adults has also revealed bosses (25%), school teachers (23%), and in-laws (13%) would be Brits’ worst party guests, and nearly six in ten Brits also look to avoid their spouse or partner at a party, with 58% saying they would dampen the mood. Nearly half of those surveyed (43%) would prefer to take their best friend to a party, 21% would take friends from school, while 17% want to take their parents and 15% want to invite all their friends from social media. The research has been commissioned as part of Jet2holidays' nationwide Party Plane competition, which marks the arrival of its 100th aircraft into its fleet. One lucky winner will get the chance to win the actual aircraft for the weekend and whisk 99 of their family and friends to Majorca for the weekend where they will be joined by television presenter Rylan Clark-Neal. While Brits may not be keen on politicians joining them for a party, it seems television presenters are a big hit. Topping Brit’s party invite list is Philip Schofield and Holly Willoughby from ITV’s This Morning, closely followed by Idris Elba, David Attenborough and Rylan Clark-Neal. The Duke of Sussex, HRH Prince Harry also makes an appearance in the top five. For sociable Brits, the most important thing at a party is the company we are with, with two thirds claiming this can make or break a social get-together. When it comes to a venue, overseas in the sun comes in top, ahead of having a party at home or in the garden. For the younger generation, music is the most important element of a good party. The research by Jet2holidays has revealed the Whitney Houston classic ‘I Wanna Dance With Somebody’ is the ultimate tune to get people on the dance floor. Meanwhile Aqua’s cheesy 90s hit ‘Barbie Girl’ has the opposite affect and is guaranteed to clear the dancefloor, according to Brits. Parties create memories to last a lifetime and it seems weddings are the occasion Brits favour the most (14%) when it comes to unforgettable celebrations, this is closely followed by summer holidays (10%). To create the ultimate party and be in with a chance of winning the Party Plane competition, Jet2holidays is calling on party-goers to get creative and choose their own party themes. Jet2holidays will help build the winning party idea into a fun-filled, unforgettable experience! So whether it’s a birthday, a wedding, a special anniversary, or a group trip, the Party Plane competition offers a chance to create a unique weekend abroad that will never be forgotten. To enter, just visit partyplane.jet2holidays.com to create your very own party plane. When entering, you can name the aircraft, create your own music soundtrack, and even select the dress-code. The Jet2holidays team also want to hear about what theme you would like and why you deserve to win. 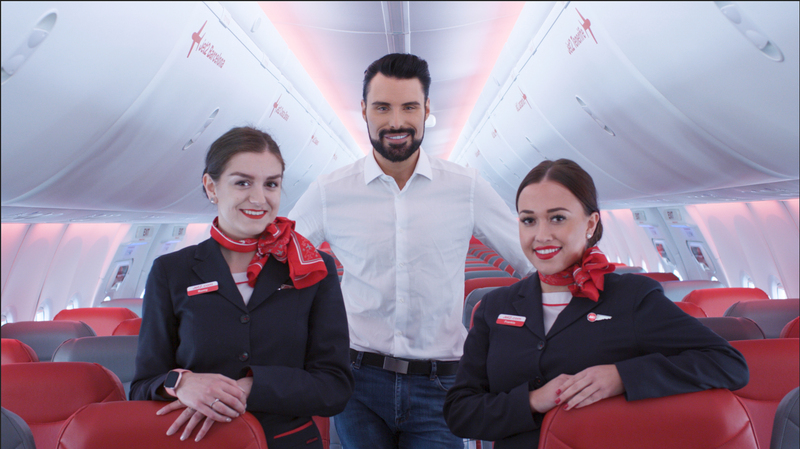 Steve Heapy, CEO of Jet2.com and Jet2holidays, said: “We commissioned this survey to find out what makes the ultimate party for Brits and it has thrown up some great responses. We wanted to do something special to mark the arrival of our 100th aircraft and what better celebration than the Party Plane when we will give one lucky winner the trip of a lifetime with their friends and family, flying to Majorca on our 100th aircraft. To enter, or for details on the competition, please visit: partyplane.jet2holidays.com. The deadline for entries is Wednesday 20th March 2019. This press release was distributed by ResponseSource Press Release Wire on behalf of Lucre Marketing Ltd in the following categories: Entertainment & Arts, Leisure & Hobbies, Women's Interest & Beauty, for more information visit https://pressreleasewire.responsesource.com/about. PR and Social experts who deliver high impact campaigns for businesses, consumer brands and public sector organisations. Precision engineered to deliver measurable results across all channels.